Here you are front and center – a role model of success. The spotlight shines brightly on your resume, highlighting every aspect of your career. Prospective employers are impressed. They want to hire you – that is until they came across an unflattering picture of you on Facebook via Google search. Yikes! Modern technology takes job searching to the next level. Social media sites, if used irresponsibly, can hinder your professional image. 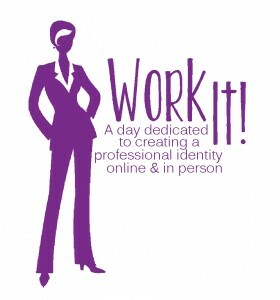 Protect your identity and make it job proof by dedicating yourself to a day of transformation. Work It! is an event you do not want to miss. If you are a woman unemployed or underemployed and want assistance in your job search, join us Monday, January 27, 2014 for a complete career makeover. Your revamped career profile will include: a professional headshot, outfit and makeover, and more. LinkedIn expert, Susan Tabor-Kleiman, Esq. and networking coach, Jennifer Robinson will be in attendance. The application deadline is Monday, January 6, 2014. Submit your application today!